Are you ready for a heaping helping of dense, earth-shaking black metal? Well, we’re here for you. Today, we have the pleasure to bring you another track from the impressive black metal outfit, Outre. This is the title track from their forthcoming LP, Hollow Earth, and it’s near nine minutes of some of the best black metal you’ll hear. Give it a listen below. With plenty of little melodic turns, cavernous vocals, and some catchy riffing, this is a great song. The vocals lean heavily into death metal territory, and the instrumentation is atmospheric but still carries a menacing, dangerous edge. 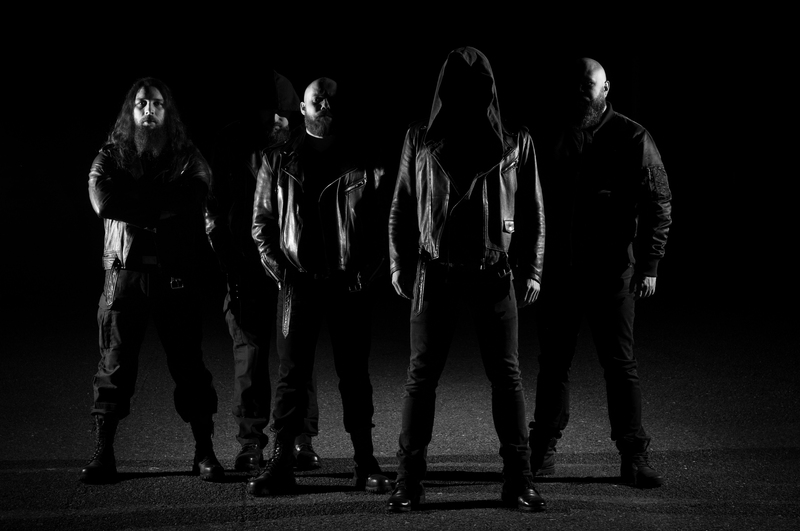 There’s no denying that the act is fully rooted in traditional black metal, but they still march to the beat of their own drum. After hearing just two songs from this record, Outre have output some of the finest black metal of 2018. I, for one, can’t wait to give Hollow Earth a full spin. Hollow Earth will be released on October 26 worldwide and is available now for pre-order in special edition vinyl, vinyl and CD here. The digital download is already up at Bandcamp if you’re looking to get the album digitally. A red vinyl edition will be released in a very limited amount by Third Eye Temple. Next PostSanguine Hum - "Now We Have Power"